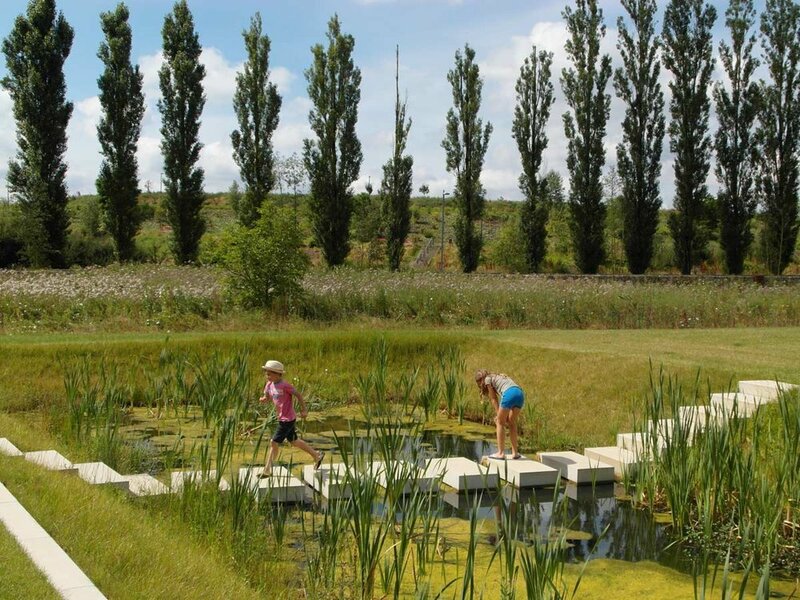 Europe’s longest sustainable water retention-promenade: In the south of Luxembourg, Europe, an industrial area, in earlier days used by the steel industry, is being transformed into an attractive working and living environment. With urban development the system of transporting all the stormwater through underground pipes has reached it limits, at least it did in this specific area. An alternative water-concept was needed to have a consistant and sustainable water-management. It was l clear as well that the urban development had to be combined with ecological continuity. For water-retention 26 water-barriers of European oak poles have been made. Thus creating in the creek different water-levels, making it a green ‘water-retention-stairway’, where the speed of the water-transport will be slowed down in periods of heavy rainfall. And preventing in this way an overload of the water-system downstream. Alongside from the water-retention-stairway a pedestrian and cyclist promenade has been made to connect all living, working and shopping areas of the site in a natural way. 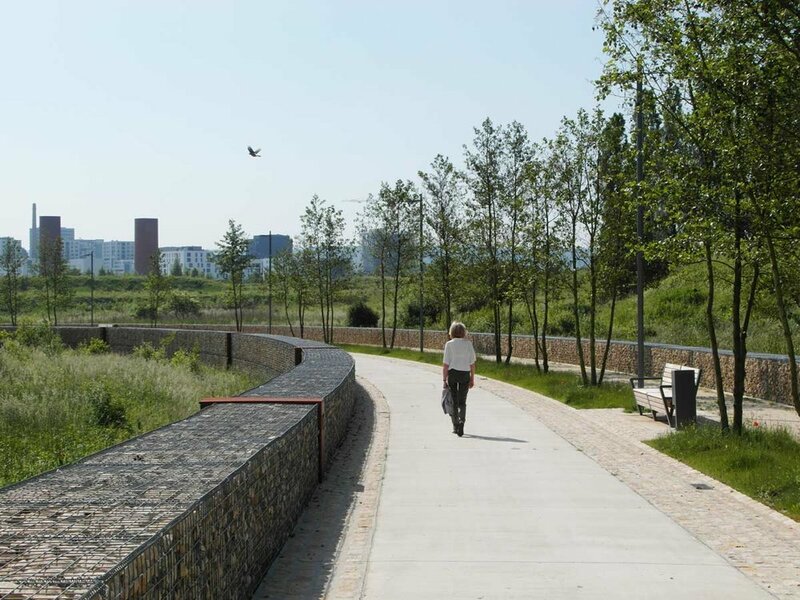 It is not only the backbone taking care of the accessibility within the site, the cyclist promenade is as well an important joint in the national cycle-path routing. The bridges have a robust design, matching the proportions of the boulevard and are made of local, European oak combined with steel.